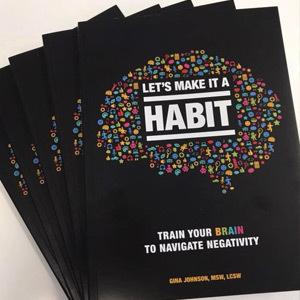 Gina Johnson at blueprint has recently published a new book called “Let’s Make It A Habit” — a guide to train your brain to navigate negativity. The book covers realistic ways we can overcome negativity and move forward. Blueprint is located in the Stone Creek Commons office park in Urbana.